The 2018-2019 NBA season is in full swing. Make sure you’re ready to watch the NBA live on Kodi when your favorite teams hit the court. There are a number of great Kodi add-ons, but others try to pass themselves off as “free.” Our guide focuses specifically on add-ons that provide official streams to NBA games. However, given the popularity of many third-party add-ons, we’ve included an overview on how these add-ons work and why we believe official add-ons are a better option. Both official and unofficial Kodi add-ons maintain some of the same risks for Kodi users. For this reason, we recommend using a VPN when streaming NBA games through Kodi. Additionally, those trying to access NBA games from outside the US may need a VPN to help get past geographic content blocking. 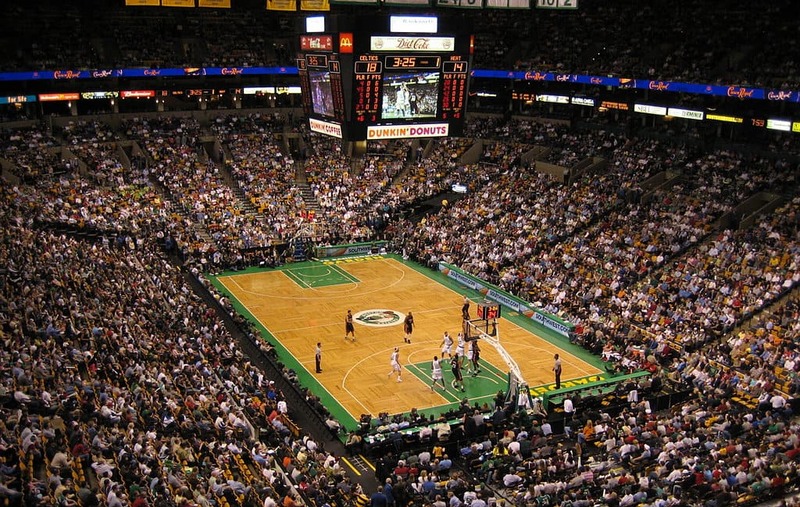 Especially for sporting events like the NBA, broadcast rights typically limit where those streams are broadcast. However, a VPN can help you bypass such geographic blocks and access the NBA streams you want. Even when you access legal streams through Kodi, your ISP may try to throttle your connection to streaming sites, which can be heavy on bandwidth. This results in buffering and lower quality video. Additionally, Kodi add-ons can give hackers access to your system if you’re not careful. A good VPN will help secure your connection so your ISP cannot throttle your speed or see your activity. When connected to a VPN, you will also benefit from enhanced privacy that will help prevent some common attacks by hackers. Reader deal: We recommend IPVanish, a quality VPN service which is fast enough for streaming and keeps no logs so your activity is private and secure. Our readers can use IPVanish at a 60% discounted rate. Each of these channels has some additional games thrown in, but this represents the bulk of what they offer. With that in mind, the following Kodi add-ons will offer you the best viewing options. There are several high-quality Kodi add-ons that provide you access to NBA games. These options are fully legal streaming methods that require may require a subscription to the service. All you need to do is create your account, grab your account information and enter into the Kodi add-on. You’ll then be able to access any of these accounts through Kodi. Much of the regular season can be watched through the NBA League Pass online streaming subscription service. 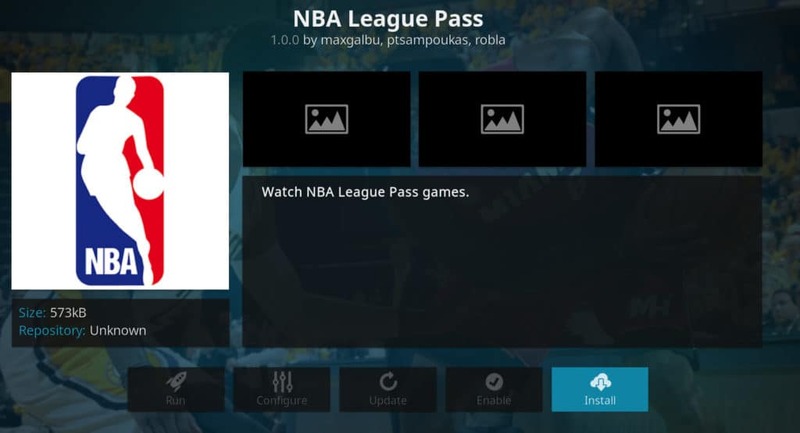 An NBA League Pass add-on is available from the official Kodi add-on repository. To install it, open Kodi and go to Add-ons> Package Symbol > Install from repository > Kodi add-on repository > Video Add-ons > NBA League Pass > Install. A League Pass subscription costs $200 for the full regular season. If you live outside of the US, you will need a VPN to circumvent the geographic restrictions that League Pass has in place. Just connect to a server inside the US before loading a stream. A VPN can also help bypass regional blackouts by connecting to a VPN somewhere outside of the blackout region. Unfortunately, League Pass subscribers only get audio streams of the playoffs and finals. You’ll need a cable subscription to watch the video, or try one of the Kodi add-ons below. 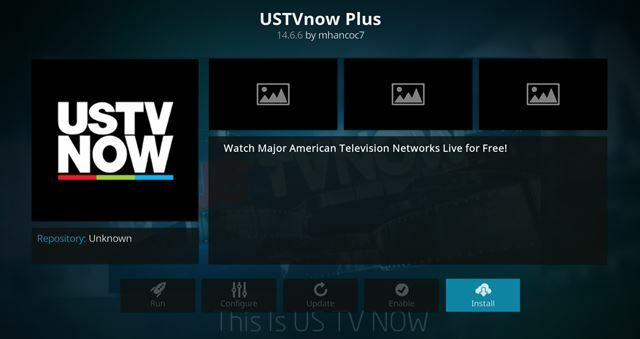 The USTV Now Kodi add-on is one of the best, fully-legal options you’re going to find. The add-on streams the USTV Now content through Kodi. All you need to do is create an account on the USTV Now website, then download the app through the Official Kodi Add-on Repository. After getting your account information, you can simply plug that into the add-on and start streaming. USTV Now offers up 7 channels for free, and 29 channels for $19.99 a month. This add-on is specifically designed for US military overseas, but there is no real block against anyone else using the service, so long as you are using a VPN. You’ll find ABC among the 7 free channels, meaning you’ll get access some of the games with the free option, although not that many. With the 29-channel subscription, you’ll also get ESPN, opening up a wider range of options. To install USTV Now in Kodi, go to Add-ons> Package Symbol > Install from repository > Kodi add-on repository > Video Add-ons > USTVnow > Install. If you have a Sportsnet account, you can access it through Kodi. You can also purchase a Sportsnet account for $24.99/month (USD $19.78). Sportsnet is a Canadian network that has streaming rights for over 40 regular season games, although you’ll be limited to only the Toronto Raptors. However, this service will provide some great benefit if you’re also a sports fan in general, as you’ll be able to use it to watch a large number of MLB games on Kodi, a large number of NHL games, and over 100 Premier League games. As with the other paid services, you can add your account information to the add-on after you create an account and stream away. 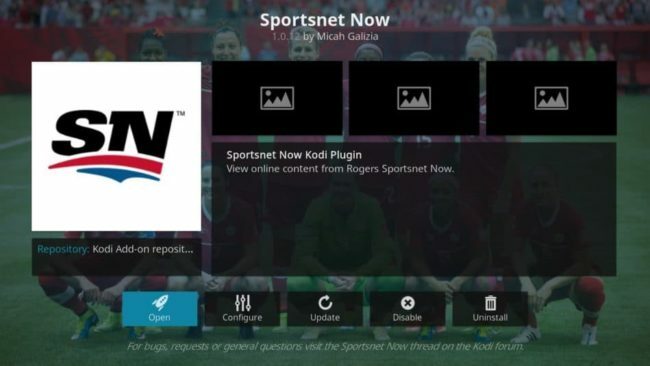 You can install the Sportsnet Now add-on by following these steps in your Kodi menu: Add-ons> Package Symbol > Install from repository > Kodi add-on repository > Video Add-ons > Sportsnet Now > Install. PS Vue is a live TV streaming service from Sony Playstation. Prices start at $39.99 a month, and it provides access to more than 40 channels and allows you to record shows to watch later. A selection of on-demand movies and TV shows is included, so you’re not limited to just sports. The PS Vue Kodi addon is a great choice for watching NBA because it’s the only official addon that offers a TNT live stream. ESPN is available, too, so it covers two of the three broadcasters airing the events, lacking ABC. 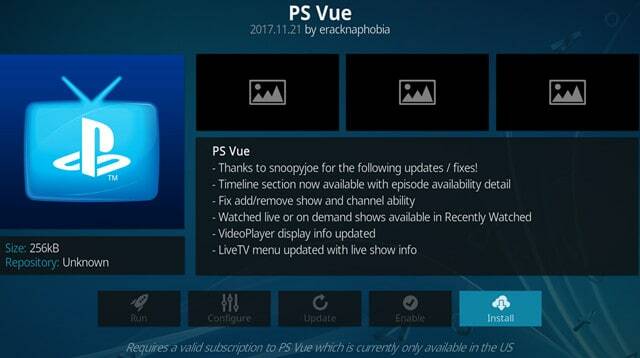 The PS Vue addon is available from the official Kodi addon repository. Similar to NBA League Pass, the ESPN Player Kodi addon boasts both live and on-demand sports. Sign up for an account to start watching. Prices start at about $10 per month, and a $7 one-day pass is available, too. Note that this will only get you the games broadcast by ESPN, and not TNT or ABC. As such, this addon doesn’t offer quite the same value as the others we recommended. That said, if you want to watch every event via Kodi and don’t want to pay for PS Vue membership, the ESPN Player addon is a must-have. 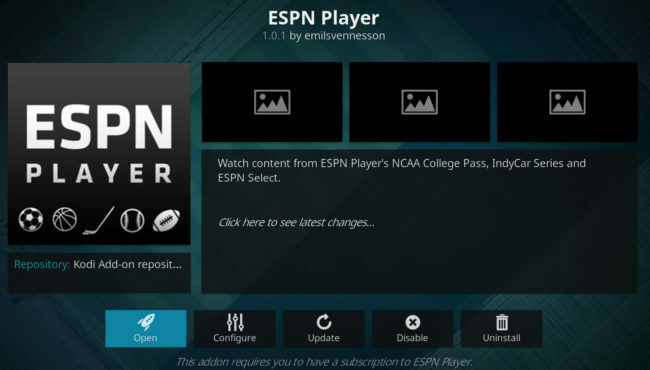 The ESPN Player addon can be found in the official Kodi addon repository. Kodi is free and open-source home theater software that can stream media from a huge range of sources–even live basketball games. Compatible with Windows, Mac OSX, Android, and Linux, Kodi can be extended to stream almost anything from the internet using third-party add-ons. That includes Android-based streaming devices like Chromecast, Roku, and Amazon Fire TV. You can find Amazon Fire TV installation instructions for Kodi here. Download and install Kodi from here. Once that’s done, you can choose from our list of the best add-ons for live streaming NBA games on Kodi, both free and paid. Learn how to install Kodi add-ons and repositories using our tutorial. These free Kodi add-ons usually convert over-the-air (OTA) and cable NBA broadcasts into live online streams. While some these broadcasts are offered freely with OTA networks or through paid cable subscriptions, rebroadcasting without permission is not legal in the U.S. and some other countries. We do not recommend or condone users utilize any of the following options, which are all considered unofficial and unapproved by the XBMC Foundation. You get what you pay for, so don’t expect miracles when searching for a free live stream. Many links will not work. Most will be average or low quality. They might cut out in the middle of the game. You may find some of these add-ons below promoted as good options on other Kodi-related sites. We’ve provided a small description of what content these add-ons are providing and why you should avoid them. What is it? 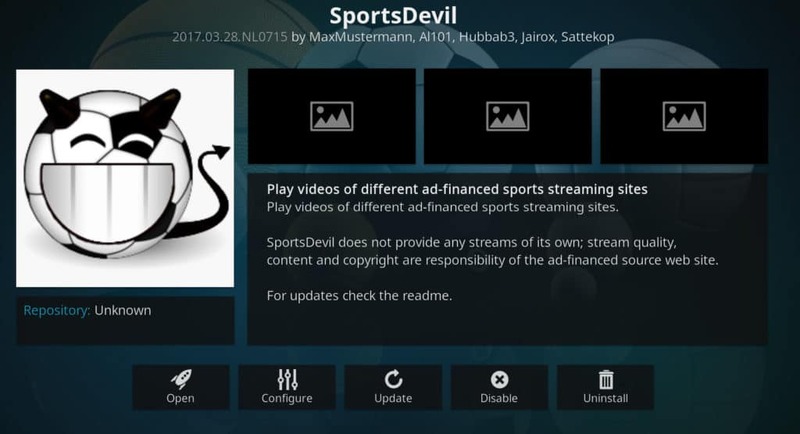 SportsDevil might be the most well-known free live streaming sports add-on for Kodi. Users can typically find many working rebroadcasted stream for OTA games here through several different streaming site options. Why should you avoid it? While investing some time in this add-on may unearth some legitimate content there is certainly plenty of content that falls the wrong side of copyright law and disapproving ISPs. Although it is hugely popular, we do not recommend SportsDevil for NBA streaming. Instead, we recommend users stick with the approved add-ons listed in this article. What is it? UK Turk Playlist is huge, but this one is composed primarily of pirated streams. UK Turk Playlists provides many streams from different countries, with a heavy emphasis on US and UK content. This add-on also changes repository locations frequently, generally to evade detection. Why should you avoid it? 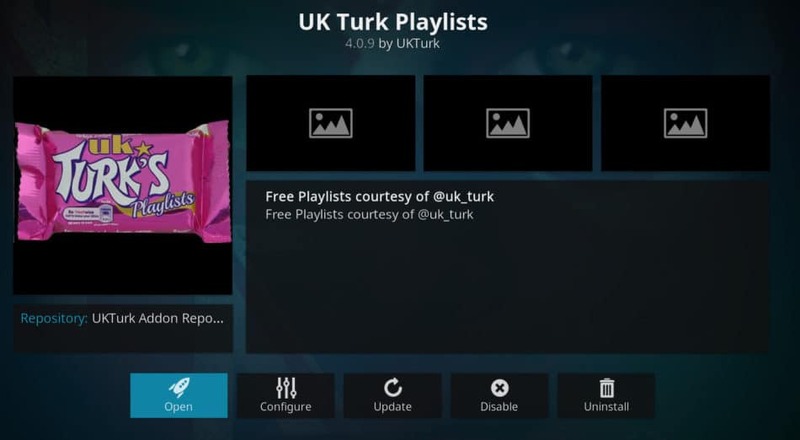 UK Turk Playlists is somewhat notorious for how much pirated content it provides. None of the streams given here are legal. Although it offers this content free-of-charge, it does not do so with the permission of the content providers. We do not recommend UK Turk Playslists for any content streaming, especially when it comes to NBA games. We suggest you stick to more legitimate sources listed in the article. What is it? 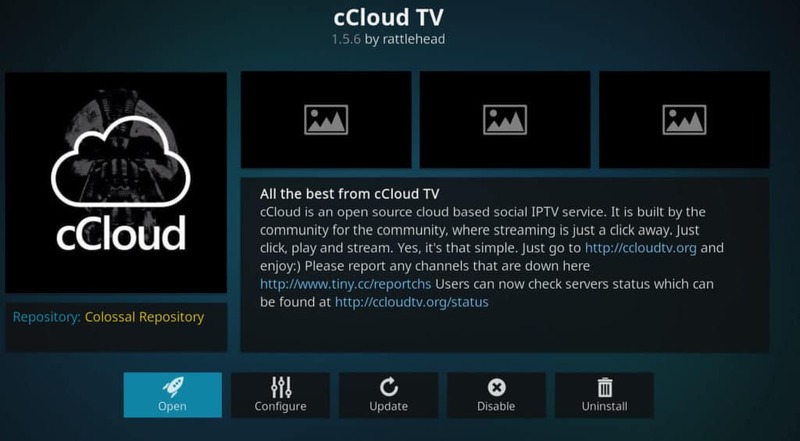 cCloud TV has thousands of channels from across the globe. Many of these are pirated, but many, particularly many international streams, are legal for you to access. You can likely find the ABC-streamed games here, but you’ll also be able to find some NBA games streamed legally on international TV networks if you look hard enough. As with the other options, be sure to avoid the illegal, pirated streams. Why should you avoid it? cCloud TV is possibly one of the least-offensive services here, as it does offer a some legitimate content. However, if you’re looking for streams from the US or UK, and in particular, for NBA-related content, you are unlikely to locate streams that are not pirated content. We do not recommend using cCloud TV for NBA streaming due to its use of pirated content. We encourage users to stick to the legitimate options in this article to avoid pirating NBA streams through cCloud TV. To install an add-on on Kodi, you’ll first need to install its repository. A repository is sort of like a library full of add-ons that you can pick and choose from. Once the repository is installed, you can either manually install add-ons from it or use an add-on installer. You can find more detailed step-by-step instructions with pictures on how to install Kodi add-ons and repositories in our tutorial. The easiest way is to use an add-on installer and search for the add-on’s name. Some add-ons can be downloaded directly and installed from a zip file. In that case, you won’t need a repository.